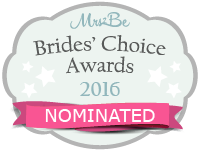 As a popular wedding videographer here in Tipperary and covering Kilkenny, Carlow, Waterford and all the other towns villages and cities around, it’s fantastic to have been nominated for the Mrs2Be Brides’ Choice Awards 2016. Over the years I have worked hard to understand the needs of couples who choose me as their wedding videographer for their special day, every couple has different ideas for their wedding video production and I encourage each bride and groom to give me their ideas and what they might like in the final production … after all it’s their day. 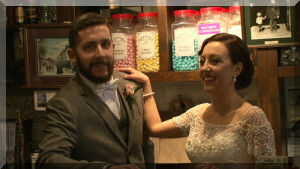 It’s great to have a wedding video on a Thursday in March, and a local one at that! 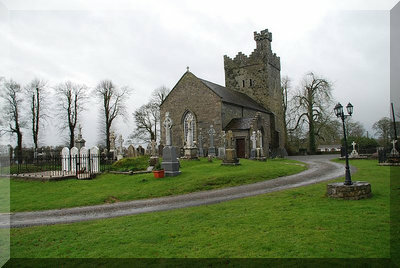 Kilcommon Church was my booking, and what a cold place it was. But for Mari & Raymond it was a perfect day … it was their wedding day. A quick call to Mari’s house on the way to the Church was my first stop. The girls were rushing around with make up, hair dryers, the works! I knew this was going to be a fun filled wedding day right away, and it was! I left Mari’s house to head to the church to capture the guys at the church but found them at a different type of establishment, with Guinness written over the door! Having filmed all the little details that Mari & Raymond had organised for the inside of the Church I went on to film the large number of family and friends arriving. Mari arrived on time along with her bridesmaids in a party bus, which was a great surprise for all. Raymond and the lads were already in their places at the top of the Church getting some good advice from Fr Dan Woods! Mari and her dad made their way up the aisle to a wonderful greeting from Raymond, and Fr Dan gave a lovely meaningful service as usual, quick to the the point. The wonderful Abbey Court Hotel was our stop for the evening, and who better than Ray to make everyone so welcome. I find Ray Lynch, the Wedding Co-ordinator, so helpful on the day of a wedding not only to the guests, but also to all the wedding suppliers. 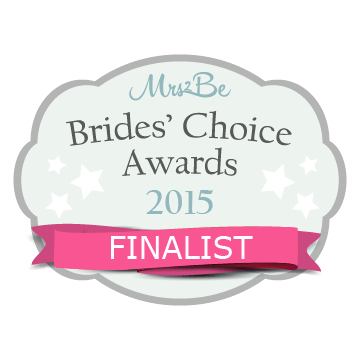 Ray has always been great to me recommending my video services to brides and grooms for quite a few years. The Abbey Court Hotel is also listed on my sister site BRIDES IN MUNSTER along with a short video showcasing the hotel. After some video footage of the guests mingling and the photo shoot, it was time to film this wonderful hotel’s function room. 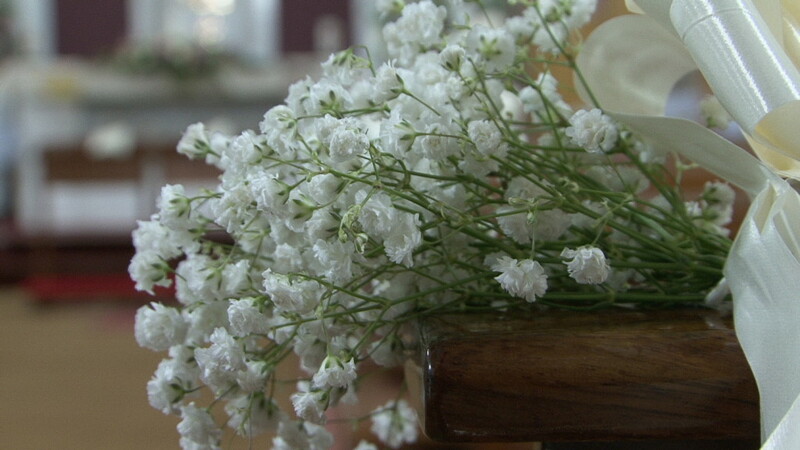 I love to film the little details on the tables and any other personal and guest orientated details. The speeches were carried out before the meal which i think is a fantastic idea, as it allows the speakers to enjoy their meal knowing that the speeches are over and done with. Their band for the evening was “Atomik Chicken” and from the first dance they had the floor full all night. Best wishes to Mari & Raymond, as i said it was a fun-filled wedding enjoyed by all including myself 🙂 A big thank you for having Abbey Video Productions capture your special day. 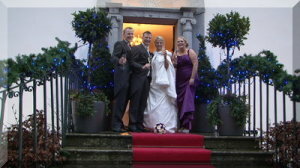 If you are planing your wedding make sure to give Ray Lynch a call in the Abbey Court Hotel Nenagh Tipperary. I have filmed many weddings in this hotel over the years and it just gets better every time I visit it, as i said Ray Lynch is second to none when it comes to weddings and making your day extra special. The hotel is one of the finest Wedding Venues in Tipperary and also boasts one of the best Conference Venues Tipperary has to offer – making it a superb business Hotel. This is all wrapped up in the hotel’s quirky features: from an oasis that is the Abbey Court’s extensive gardens to family holiday facilities that are the envy of hotels nationwide. The Abbey Court Hotel is the perfect choice for Civil Ceremonies in Tipperary. The Hotel is a registered venue for Civil Ceremonies and can offer a choice of private rooms for your Ceremony and for the Reception making your day a special one and one to remember. The staff at the Abbey Court Hotel believe each wedding is special and unique and their focus is to ensure your wedding day is is full of once in a lifetime moments, that you will cherish forever. This Nenagh Hotel has long been known as an exclusive wedding venue in Tipperary. They offer a range of tailor made Wedding Packages to suit all budgets and tastes. 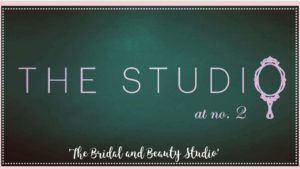 Special Offers are available, you can contact the dedicated Wedding Co-Ordinator who will be delighted to assist and advise you in any way possible. I do hope you enjoyed reading my blog and might even find it helpful somewhat. 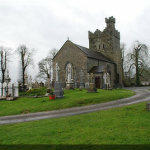 Also check out my Face book page for great deals and wedding news from around Tipperary. Kilkenny , Waterford Carlow . Getting back to weddings over 2014. All of my weddings were local to me this year. When I say local, I mean Carlow, Kilkenny, Waterford, Limerick ,and not forgetting, Tipperary. 80% were from recommendations and it’s great to be called back to the same family for their son’s or daughter’s wedding along the way. I have been very fortunate with my results onGoogle of late, being number one for wedding videos. Tipperary and Kilkenny are climbing the links as well and others are soon to follow. It’s not easy getting time to blog with all the editing and filming, but my good wife and editor, Breda, makes sure its all safely downloaded and begins work on it right away. That’s the great thing about working as a team. I don’t like to leave people waiting too long for their wedding video, so I always try to have it for when they return from their honeymoon. That way, it’s fresh in their minds and they can relive it all over again with family and friends. I hear horror stories about videographers not having the wedding video ready for 6 months. Even the guys working alone have no excuse. When you’re professional you’re professional, and that’s the way to do business.